Tours de Sport's Blog: Sunshine Village opens for the 2014-15 Ski Season! Sunshine Village opens for the 2014-15 Ski Season! Well, if this doesn't whet your appetite for ski season, what will?!?!? Banff, AB, November 14, 2014 - The wait for winter alpine adventure is over as Sunshine Village officially opens today, November 14, 2014, for the 2014-15 ski and snowboard season. 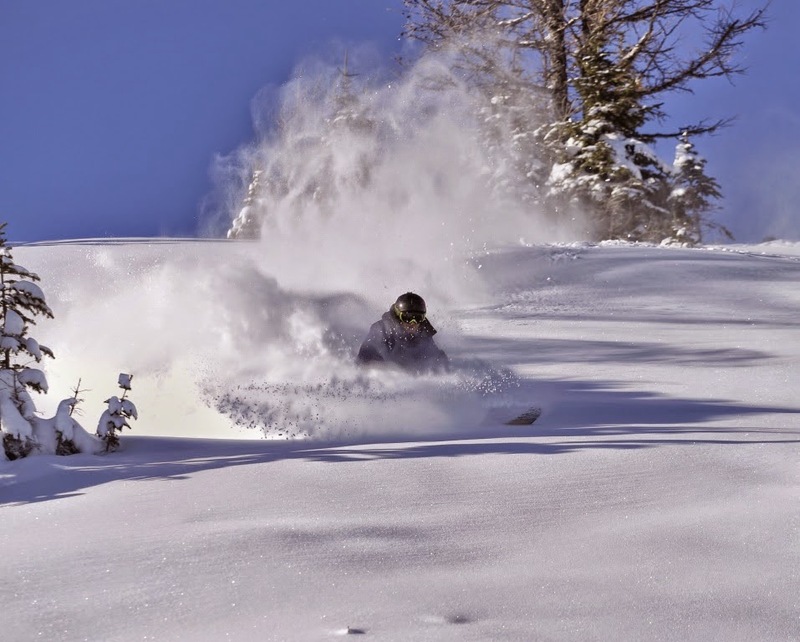 Offering special early-season ticket prices, skiers and riders have access to the Strawberry Quad Chair, the Strawjibbery Terrain Park, as well as two magic carpet lifts. With over 25 cm (10 in) of snow blanketing the mountains over the past week, the resort is opening with a solid start to the 2014- 2015 ski season with a base of over 60 cm (24 in). In addition to opening all on-mountain rentals, dining and retail venues, Sunshine Village is also offering full ski school programs as well as Tiny Tiger and Kids Kampus programs. What’s new for the 2014/15 Season? Recently named one of Canada’s Signature Experiences by the Canadian Tourism Commission, Sunshine Village’s Historical Snowshoe and Fondue tour invites guests to explore off-the-beaten-path with local guides, enjoying 360 degree panoramic alpine views of Banff National Park. Returning to the warmth and comfort of the Sunshine Mountain Lodge, guests further indulge with a traditional Swiss-style cheese fondue. Sunshine Village is once again offering Restorative Yoga and Ski Retreats, combining a majestic Canadian Rockies ski experience with the serenity and relaxation of an on-mountain yoga practice. These weekend retreats also include individualized menus featuring healthy, organic fare crafted exclusively by Executive Chef Martin Brenner of the Sunshine Mountain Lodge and a guided mountain experience with one of Sunshine Village’s certified ski instructors. In August, 2014, Sunshine Village received approval from Parks Canada to construct a new high-speed quad chairlift to replace the existing Tee Pee Town double chair built in 1979. The new chairlift will include heated seats, footrests and orange bubbles for wind and weather protection and will be the first of its kind in Canada. Construction is underway and scheduled for completion in the spring of 2015 with full operations commencing in the 2015/16 winter season. Sunshine Village joins the Lake Louise Ski Resort in becoming one of the first ski resorts in Alberta to open for the winter season. Mt Norquay is tentatively scheduled to open in late November, stay tuned for updates. Speak with you ski travel specialist at Tours de Sport for vacation specials, ski packages and all the latest updates straight from the resorts.